It is our pleasure to welcome you to our neighborhood restaurant, where we serve a big heaping of old-fashioned service and traditional dishes offering simple flavor. 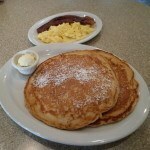 Trips Diner is a family restaurant offering a warm atmosphere, friendly staff, and delicious meals. 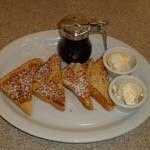 Breakfast is often called the most important meal of the day, which is why we serve platters, omelets, pancakes, waffles, and French toast all day long! 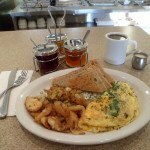 Specialty dishes, sides, fillers, and toppings complement our main breakfast dishes with an added touch of flavor. 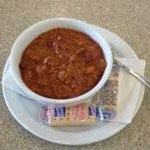 If you’ve already enjoyed a good breakfast and you’re ready for something else, Trips Diner serves a medley of appetizers, salads, soups, pasta, burgers, and sandwiches. 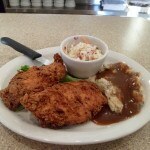 Of course, we also offer a varied selection of entrees featuring chicken, fish, steak, and ribs, just to mention a few. Satisfying your appetite is what we do best, so we always have a small selection of desserts for you to enjoy on the menu. Do you have kids? 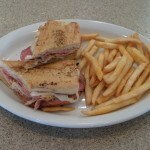 Trips Diner has everything they like – chicken fingers, macaroni and cheese, grilled cheese, and pasta! We invite you to experience everything there is to love about Trip’s Diner! Open since 2012 and named for our adorable triplets, our restaurant is the perfect place to share breakfast, a light lunch, or dinner with family or friends. 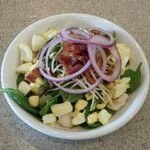 Our establishment is a friendly place offering a comfortable setting and an affordable menu. Thank you for registering to receive our emails. We hope to see you soon!